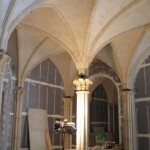 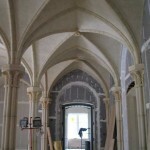 Two-coat lime plaster (Premix EcoMortar®) applied on groin vaulted ceilings, most assuredly a California original! 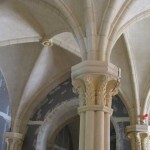 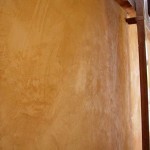 Traditional, old-world lime plaster applied in conventional construction. 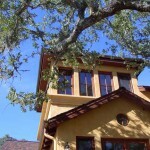 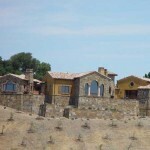 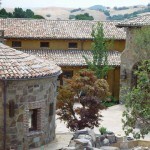 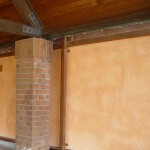 Three-coat traditional old-world lime plaster applied in conventional construction. 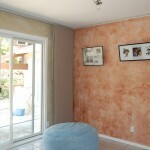 Traditional lime plaster (Saint Astier® NHL) combined with Le Decor limestone features on a renovated 1970’s era home. 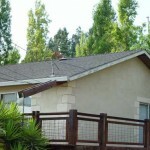 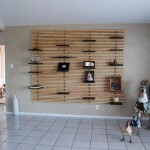 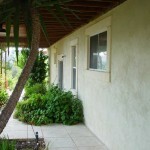 The original cement stucco, which had badly degraded over time, was abandoned in place. 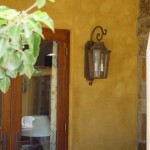 After application of paper and lath, it was covered with three-coat traditional lime plaster. 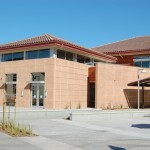 In the expansion of Santa Rosa Junior College’s newer second campus, Saint Astier® Natural Hydraulic Limes are used on the exterior on the crown jewel building of this complex: the library. 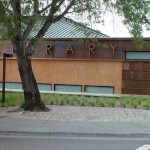 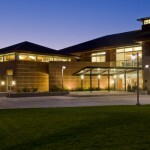 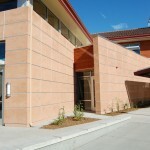 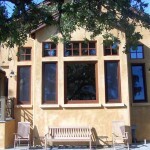 Traditional, old-world lime plaster applied in conventional construction to the Petaluma Public Library in Petaluma, California.